The Next Generation in Air Inflation! 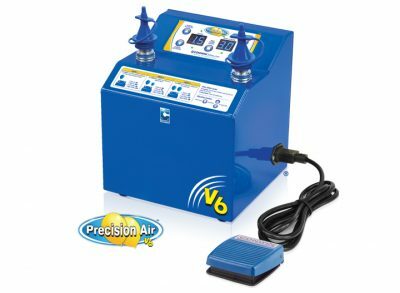 The Precision Air automatically sizes air-filled latex balloons without the use of heavy cylinders, noisy air compressors, or time- consuming templates. Great for columns, sculptures and other air-filled decor. Adjust the inflation time by tenths of a second for precision sizing. 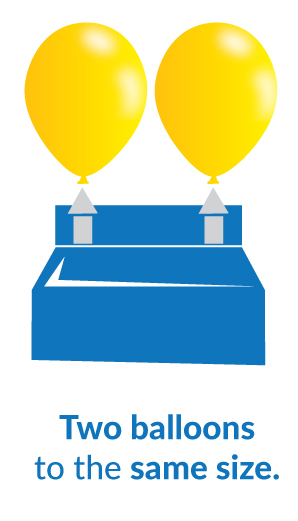 Proper balloon sizing eliminates popped balloons, and ensures consistent costing and customer satisfaction. 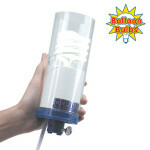 Electrical unit includes a built-in, adjustable cycle counter that tracks the number of balloons inflated. 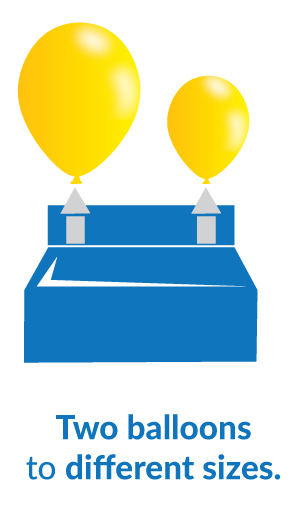 New model allows you to also inflate a single balloon automatically or two different sized balloons. Increase efficiency with the new Auto-Inflate Cycle function and now in ate any size round balloon and entertainer balloons 2” in diameter and larger. Save time and increase efficiency! 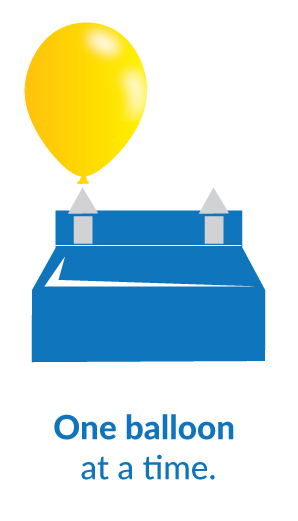 Simply set your desired balloon size and tap the foot pedal three times to activate. Auto-Inflate Cycle automatically inflates balloons every 4 seconds. The Precision Air now offers you the flexibility to readjust the built-in cycle counter by increasing or decreasing the number should a balloon pop while inflating. Automatically inflate all sizes of round latex balloons, 5-inch to 3ft and entertainer balloons 2-inch in diameter and larger. 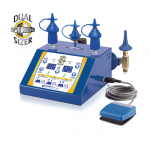 Automatically inflate perfectly sized air-filled double bubbles at the tap of a foot pedal. Digital control panel features a cycle counter that enables user to quickly determine how many balloons have been inflated. The Friction Fit Outlets feature Extension Tips, making it easy to inflate 5-Inch and entertainer balloons. Note: The Precision Air is not recommended for 160 balloons. 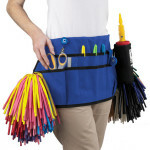 The hands-free foot pedal control enables workers to quickly inflate and tie pairs of balloons. The foot pedal and power cord are detachable for quick setup and fit neatly into the carrying case. In the unforeseen event of an electrical mishap, the safety fuse will shut down the power system to protect the operator and the working components of the Precision Air. Prevents the Precision Air from overheating. Settings should be used as guidelines for the Precision Air Inflator. 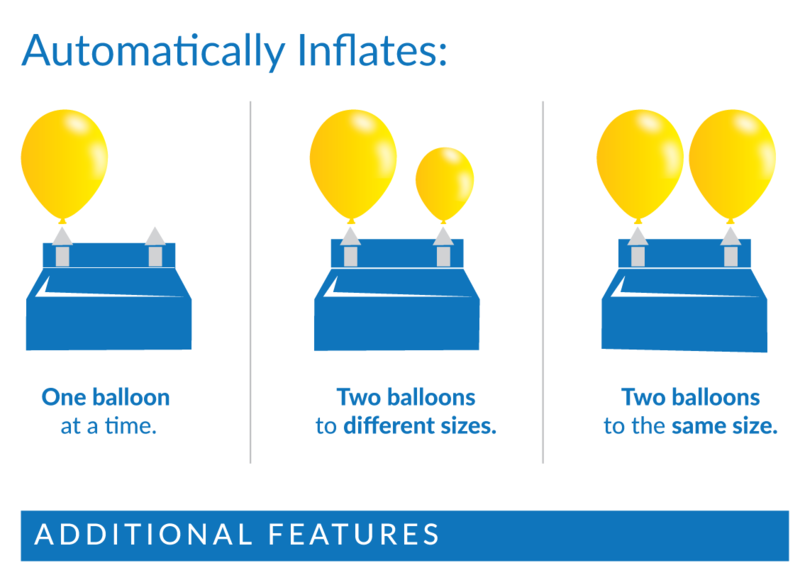 Please note that size settings will vary based on user preference, balloon color, manufacturer and from unit to unit. To adjust the size of balloon to your individual preference it is necessary to inflate test balloons.